Although most rose varieties are propagated by grafting and cuttings, species varieties can be propagated by planting their seeds. 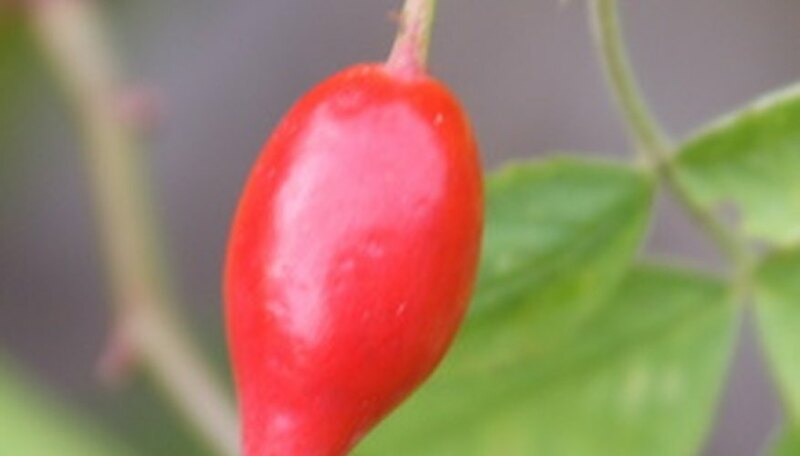 Home gardeners can easily grow the species variety Rosa rugosa by collecting its hips when they ripen in late autumn. Slice open a mature rose hip with a sharp knife. Drop the seeds into a glass of water. Rose seeds that sink have a higher probability of germinating that the ones that float. Discard the floaters and keep the sinkers. Drain the water. Place a small amount of damp peat moss in a plastic bag or small container and put the rose seeds into the moss. Rose seeds require exposure to near-freezing temperatures for approximately 45 to 60 days to germinate. Place the seeds in the coldest part of your refrigerator for the allotted time. Fill a seeding tray to the top with growing medium. Plant rose seeds 2-inches apart and one-fourth inch deep. Cover the seeds with the growing mixture and lightly firm the soil with your hand to ensure good contact between the seed and the soil. Place the seeding tray in a larger tray. Fill the larger tray with water until it comes half way up the sides of the seeding tray. Let the seeding tray sit in the water until the surface of the soil looks moist. Remove the seeding tray and allow excess moisture to drain. Put the seeding tray under artificial lights about 2 to 3 inches below the surface of the lights. Run the lights for 16 hours on and for eight hours off. Seeds should begin germinating in about two weeks. Transplant seedlings into individual 3-inch pots when they have three sets of leaves. Keep under artificial lights, raising the level of the lights as the rose seedlings grow to keep the tops of the seedlings 3 to 6 inches below the lights. Collect rose hips in late fall after a few light frosts, but before a hard, killing freeze.